Sue Mengers was renowned for her glamorous, yet intimate, parties featuring her favourite ‘twinklies’ – the who’s who of Hollywood. Now, as we prepare to step inside her Beverly Hills home in I’ll Eat You Last, we chat to set and costume designer Owen Phillips about recreating this setting on stage. Can you describe your thought process behind the design for I’ll Eat You Last? The first major decision for I’ll Eat You Last was deciding whether there was anything to be gained in abstracting the set design in any way, however Dean and I decided very quickly that the play would work best with Sue placed in her natural habitat, in absolute, slice-of-life naturalism. Following that decision we began a huge amount of research into interior design of the era, and the mansions of Los Angeles and Beverly Hills. In the script, Sue makes a big deal out of the interior designers she had in to do her house, so it is extremely designed, down to the last ash tray. 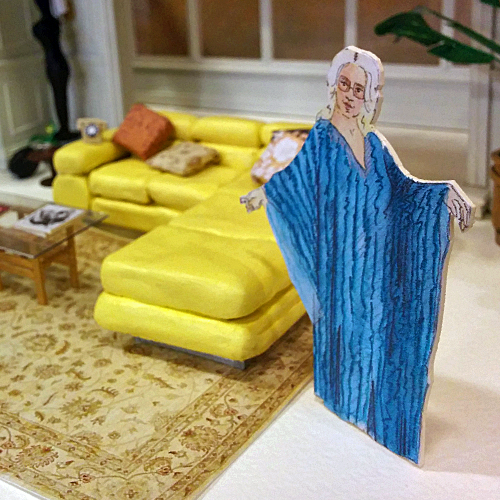 As the play has Sue seated on the couch for almost the entire show, another important factor of the set design was making sure that she is always at the centre of everything, both literally and figuratively. The play is based on a real person, Sue Mengers, sitting in her real house. What sources inspired your set and costume design? There are no photographic references available of the actual house Sue was living in in 1981, when the play is set. This meant we had complete freedom over the design, and rather than being tied down to reality, we could design her house in order to suit the Sue Mengers we discovered via research and via the character as created by John Logan. A key source of inspiration was an interior designer called Michael Taylor, who was working extensively for the rich and famous on the West Coast of the US during the seventies and eighties, so could conceivably have designed Sue’s home. He had a beautiful, very elegant, extremely timeless style which we loved, and which was also helpful as we didn’t want to overwhelm the show with the comedy of an ugly, eighties interior design. In terms of costume, Sue created a trademark look for herself, which she stuck with throughout her life – a blonde shoulder-length hairstyle, large rose-tinted glasses, and kaftans, which of course we’re following through with for Miriam to wear. How do you adapt a Beverly Hills mansion for the Fairfax Studio stage? I love being an audience member in the Fairfax Studio, but it’s a tricky space to design for. It doesn’t lend itself easily to a naturalistic, interior set, however I think we’ve come up with some great solutions. As always, it’s all smoke and mirrors of course; beautiful pieces of furniture are made of plywood, there’s certainly some doors and corridors that lead to nowhere, and we’ve even come up with a way (of sorts) to get Sue’s swimming pool onstage too! 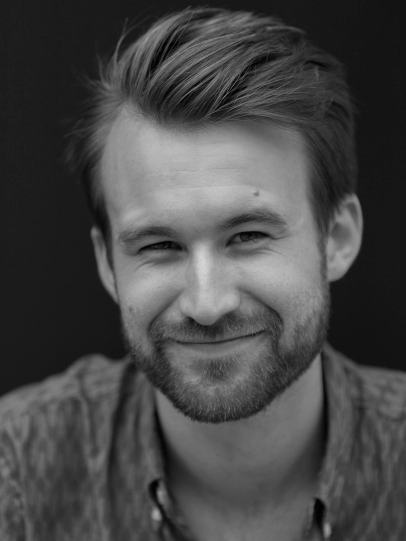 You have worked with director Dean Bryant on a few projects, including Sweet Charity (Hayes Theatre Company), Straight (Red Stitch) and The Pirates of Penzance (The Production Company). From a design point of view, what is it like working with him in the creation of a piece? I love working with Dean. We’ve done four shows together now (and are currently working on numbers five and six), so it makes things so much easier when you know and understand the way each other works and you’ve established a mutual trust. As a designer Dean is great to work with, as he really understands and respects the importance of set and costume. He always integrates design very thoroughly, and you can always count on him to stick to an idea and follow it through. Have there been any particular highlights in creating the set and costume design for this show? The highlight would have to be the opportunity to get to know the brilliant personality that is Sue Mengers, a wonderful character who I don’t think I would have come across had it not been for I’ll Eat You Last. And of course, the company of such a wonderful team, including the honour of working with the incredible Miriam Margolyes. I’ll Eat You Last plays from 31 October to 20 December at Arts Centre Melbourne, Fairfax Studio.